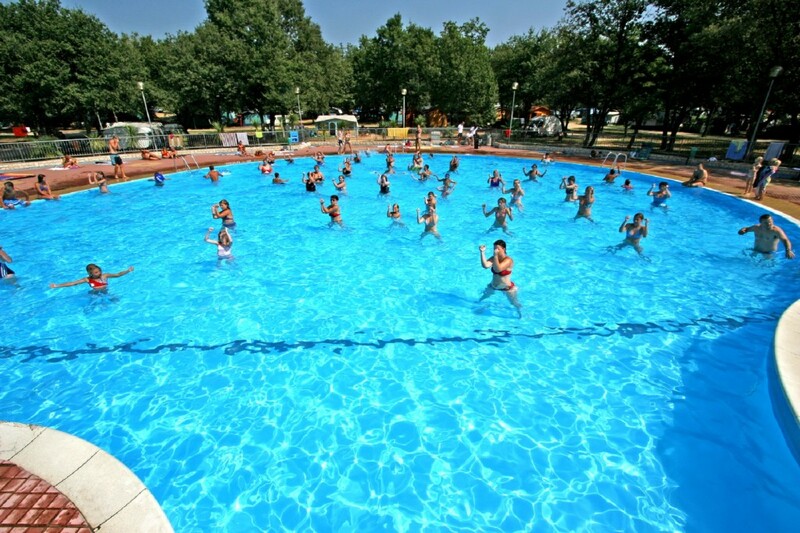 Camp Bijela Uvala is situated between Porec and Vrsar on the Istrian Peninsula, the camps is among the largest camps in Istria, with a capacity of 6000 campers. 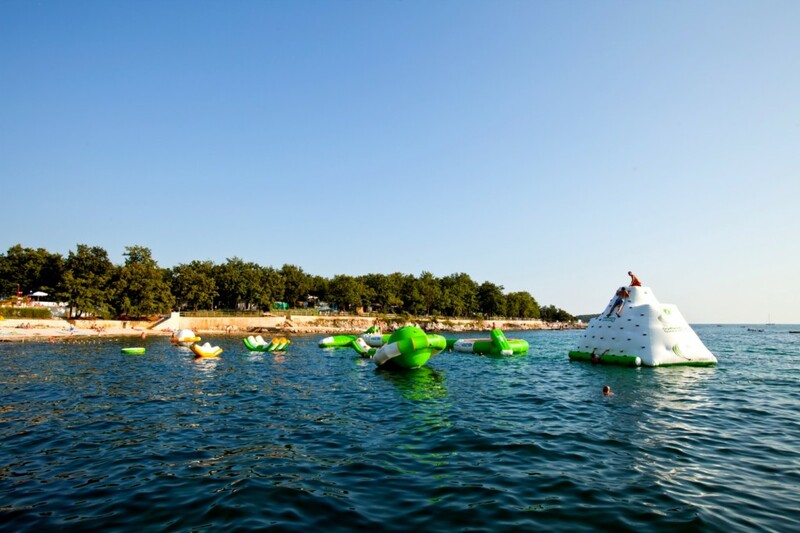 The tree starred family campsite is ranked among the best camps in Croatia, which is no wonder when you consider the extensive facility program offered, the beautiful nature and the blue flag beaches. 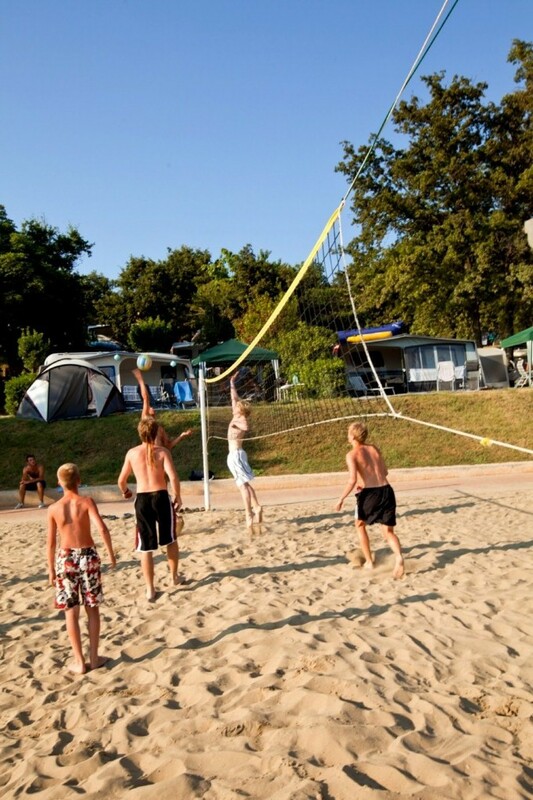 Camping Bijela Uvala, is highly recommendable for families with kids and people who want to spend their holiday in a summer resort offering a wide range of sports activities as well as entertainment. 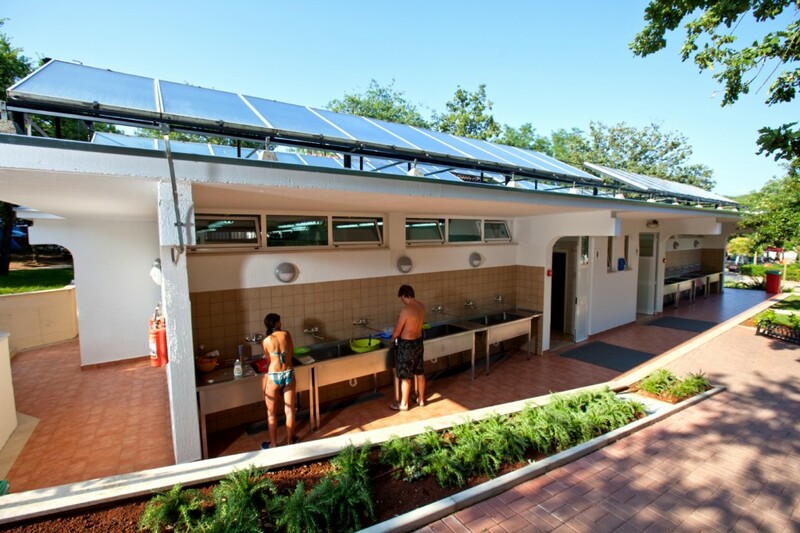 The 7 sanitary buildings at the campsite are evenly distributed on the premises, the sanitary facilities include, hot water showers, special shower and toilet facilities for the disabled, laundry room and equipment/area for ironing, shower area for dogs, and of course facilities for washing dishes. The basic facilities at the campsite include a mid size supermarket, a minimarket, newspaper stand / Kiosk, a souvenir shop and several public payphones. The culinary offer included two restaurants and a few grill places and bars. 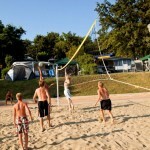 The Sport facilities at Camping Bijela Uvala, included a large soccer pitch, table tennis, tennis courts, sandy pitches for beach volleyball and mini golf. Bikes for rent are also available. The water sport program includes windsurfing and boat rental. At the blue flagged pebbly and rocky beaches, deck chairs and umbrellas can be rented for a small fee. The smaller ones may enjoy them selves at the children’s beach, those who like enjoy the sun with out clothes, may do so at the nearby Zelena Laguna Naturist beach. A small harbour is available for those who want to bring a smaller sports boat. 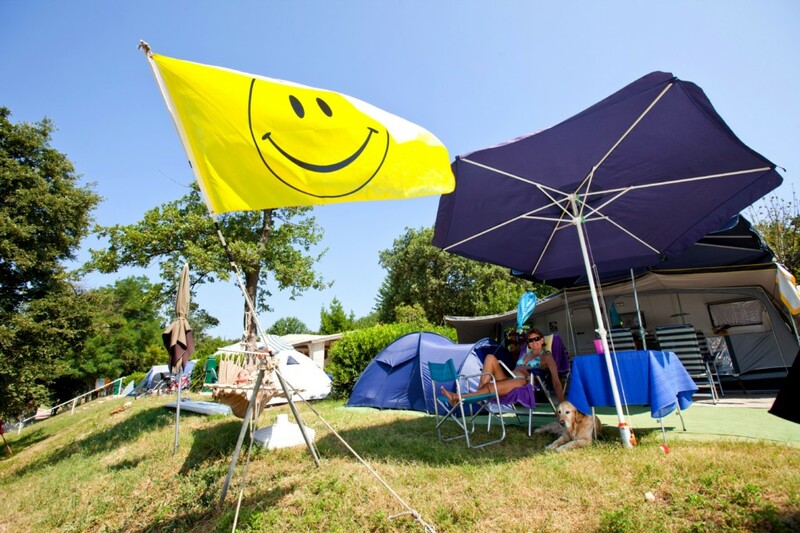 The animation program at the campsite include mini-club for the children in the morning and evening entertainment, for the adults there is morning gymnastics, different sports tournaments as well as and evening entertainment and animation program. 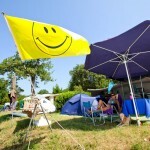 The camp has a total of almost 700 lots, sized from 60 to 110 m2. 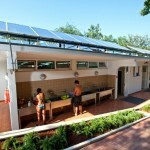 The lots have water and electricity connection. The Zones G, E, F, C, D has limited number of pitches directly by the Sea. 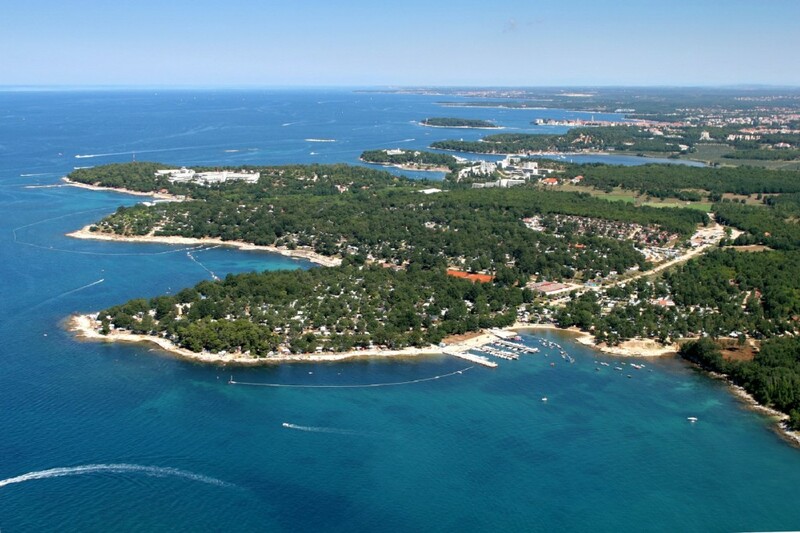 Distance to the centre of Porec is about 5 km, which is about 10 minutes drive. 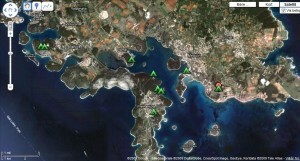 Distance to the centre of Vrsar is about 6 km, which is about 8 minutes drive.